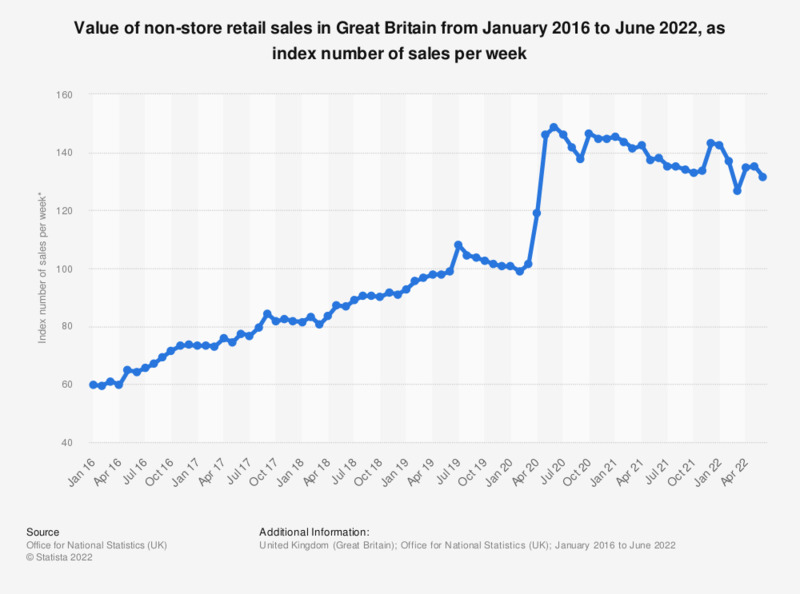 The figures are seasonally adjusted estimates, measured using the Retail Sales Index (RSI) and published in index form with a reference year of 2016 equal to 100. * Value of sales at current prices, seasonally adjusted. Figures are for sales made via non-store retail channels, including retailers that sell predominantly online and mail order retailers. Index Level 2016 = 100.